As a magician, Jason is the series champion of the BBC One’s The Magicians, the recipient of Siegfried & Roy’s Masters of the Impossible Award, and was bestowed with magic’s highest honor, “Grand Prix ‘Best Overall’ World Champion of Magic.” With his undefeated resume of championship wins, Jason is one of the judges with Penn & Teller on SyFy Channel’s magic competition Wizard Wars. In 2018, Jason joins David Copperfield and David Blaine as one of the few recipients of the prestigious and highly coveted Golden Grolla Award from the Masters of Magic. As a scientist, Jason is the creator of “Impossible Science” the academic platform uniting magic and science to inspire wonder in education. Latimer is the Curator of Impossible Science of the iconic Fleet Science Center in San Diego, CA but his STEM program has expanded to science centers throughout Southern California. Impossible Science labs, festivals, exhibitions, live shows, and digital series with Comic Con HQ have inspired hundreds of thousands of visitors to embrace their ability to ask a question. Currently, the Fleet Science Center is in construction of a new exhibition wing to permanently offer Impossible Science for the next 10 years. While in Downey, CA, Impossible Science Festival with the Columbia Memorial Space Center has grown to become the official LA Science Festival “City of STEM.” Recently, Engineering.com and Latimer launched the Impossible Science Student Challenge, a competition of thousands of participating schools across the US and Canada to find the classroom doing the most to inspire curiosity within Science, Technology, Engineering, and Mathematics. Today, Jason co-hosts Science Channel’s new series SciJinks with Big Bang Theory’s Johnny Galecki and Mythbusters: The Search’s Tamara Robertson. At Education First’s Global Leadership Summit, in both New York and Berlin, Jason follows previous keynote speakers Al Gore and Dr. Jane Goodall with his keynote address on The Influence of Technology on Society. While in Washington DC, at the largest science festival in the country (370,000+ Attendees) and following last year’s speaker Elon Musk, Jason gave the closing keynote of the USA Science and Engineering Festival on Impossible Science and Education Through Curiosity. 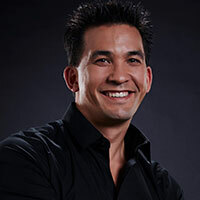 Jason Latimer is not only changing education, he is on a mission to globally inspire wonder.